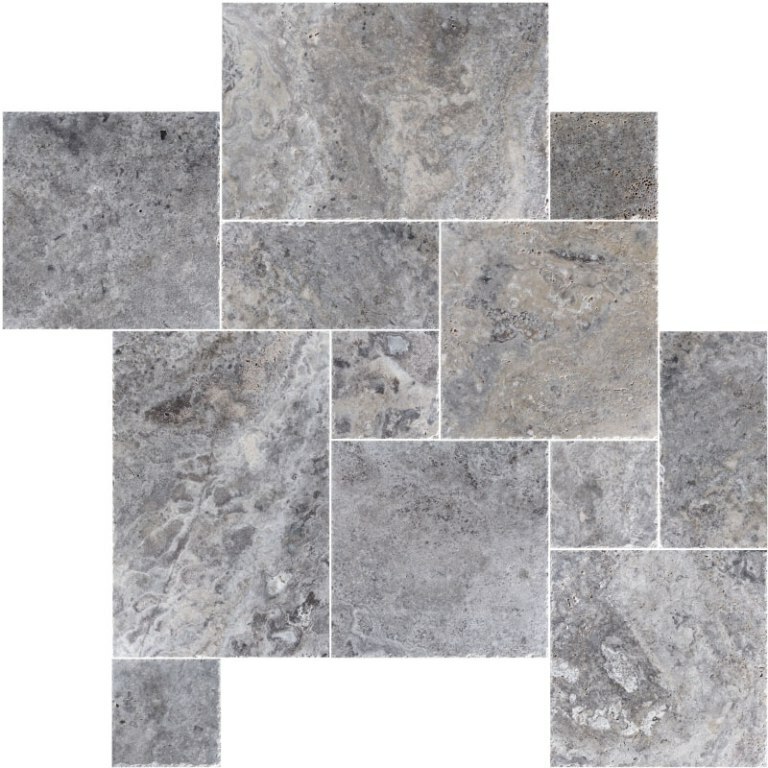 Bring inspiring style to your space with stunning Alaskan Silver Travertine Tiles. A beautiful blend of silvers, grays, and creams, this Turkish travertine collection adds instant sophistication and understated elegance. The robust line offers several options of flooring, wall tile and decorative mosaics and features a vein cut look that delivers a breath of fresh air to traditional cross cut travertine.